OK, here it is the following 21 habits will Transform Your Life Forever. But not only that, it will help you burn fat and feel amazing! 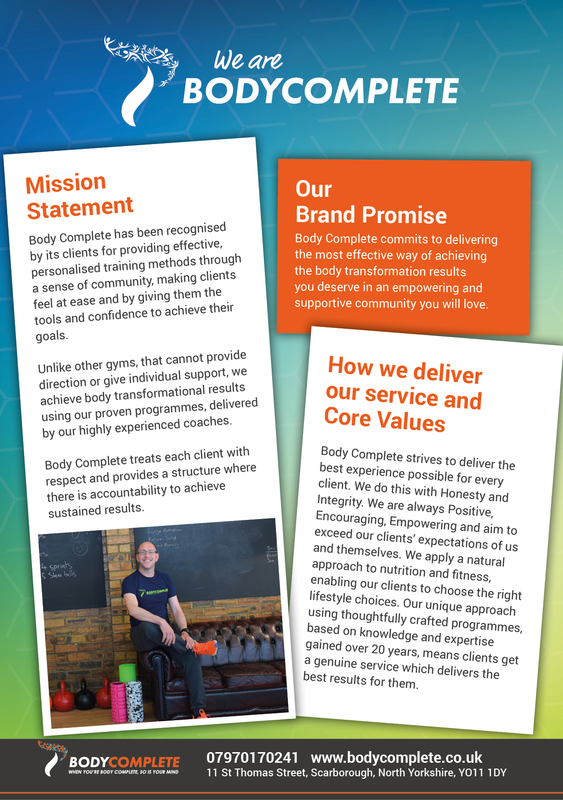 Here at Body Complete we pride ourselves at offering the best health & fitness advice around Scarborough and the East Coast and probably the world! Be proud of you! So lets get on with it…If you’re here, that means you’re taking the first important steps toward losing weight or taking charge of your health. To make the transition a little smoother, we’re sharing a list of the 21 habits of a hard-core clean eater. Clean eating isn’t a fad diet. It’s a conscious lifestyle choice in which you nourish the body with non- or minimally-processed foods that are full of fibre, nutrients, and antioxidants. When you start to incorporate these clean eating habits, over time you’ll notice a change in how you look and how you feel. Those troublesome spots on your body will jiggle and wiggle less, and you’ll feel more energized. The foundation of clean eating is choosing to nourish the body with foods that are as close to their natural state as possible. For instance, rather than dive into a flavoured yogurt loaded with preservatives and added artificial sugar, you might choose protein- and probiotic-rich plain Greek yogurt topped with fresh berries and a touch of honey. Small steps. Sweeping changes to eating habits make it easier to give into the temptation to go back to your old ways. Start by incorporating one or two clean eating habits per week so you can adjust successfully. Plan meals. Creating a weekly or monthly meal plan prevents from resorting to eating processed or take away food at the end of a busy day. Read nutrition labels. Read 100% of labels before placing a food item in your grocery trolley. Determine if it contains added sugars, sodium, preservations, artificial colouring, or other chemicals. Tip: Labelling reading quickly becomes a habit and one that takes 2-5 seconds to scan. Eat more vegetables. From asparagus to zucchini, one of the top clean eating habits is to incorporate more veggies into your daily routine. Tip: Rinse and chop vegetables for the week. After grocery shopping head straight for the kitchen and prepare your weekly veggies by rinsing and storing them in zip lock bags. Use the veggies for smoothies, juicing, munching, and roasting. Replace snacks for cut up veggies. Drink water rather than soda or diet drinks. Water is what 70% of our body is made up of, so keeping these levels topped up means our body is working efficiently, which means our body will burn fat! Tip: Start every morning by drinking a 200ml glass of room temperature water. Continue drinking water throughout the day. Our clean eaters drink about 2 litres of water on a daily basis. Reduce alcohol intake. Alcoholic drinks are full of empty calories that do little more than add to the waistline. Add less salt to foods. Instead, season with herbs and spices. Tip: The true taste of food is hidden when we overly salt. Rather than cut out all salt, use it in moderation. Most clean eaters still use salt, but about 75% less than they previously did before becoming clean eaters. Ditch refined bread products, like white bread. Choose whole grain breads or prepare your own. Increase your protein intake. Protein provides our muscles with the energy they need to build up strength and burn fat. So regular protein and conditioning exercises are vital. Tip: When you do eat meat opt for organic beef, hormone free meat, free range chicken and eggs. Eat more fish. Cold water fish in particular, are full of heart-healthy omega-3 fatty acids. Fish is an important protein source. Put Pan-Seared Salmon with Roasted Vegetables on your menu this week. Watch juice intake. Another strategy to add to your clean eating habits list is to be careful of how much juice you drink. Too many brands contain added sugar or artificial colours, so read labels before buying. Stock the right foods. One of the best ways to set yourself up for clean eating success is to surround yourself with the healthiest, tastiest ingredients. Learn to store food properly. It’s super-scary how long some processed foods keep–makes you wonder what kind of chemical preservatives those manufacturers are using! Learn how to make natural foods last longer to stretch your grocery budget. Prepare food ahead of time. “Oh no, there’s nothing to eat” is often a precursor to breaking out a processed dinner or ordering unhealthy takeout. Dust off that slow cooker. Cooking clean-eating meals in the crockpot takes the hassle out of healthy meal prep. Treat yourself to dessert. Folks with good clean eating habits don’t ditch desserts entirely; they just treat themselves to proper portions of non-processed desserts. Choose fats that are good for you. Not all fat is bad–fats from foods like nuts, avocado, and olive oil are heart healthy. Serve up Grilled Chicken and Avocado. Cut down portions. It’s easy to consume too many calories, even when it comes to clean eating foods. Avoid refined sugar. Refined sugar has been linked to conditions like obesity, inflammation, and type 2 diabetes. 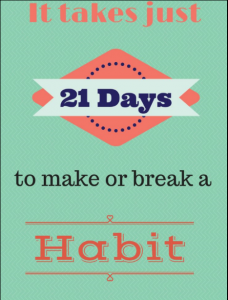 Watch Out for more habit changing posts right here on our blog post webpages.